US crude oil production is expected to climb to more than 10 million bpd early in 2018, reaching that milestone for the first time since 1970. NEW YORK, Jan 9 (Reuters) – U.S. crude oil production is expected to climb to more than 10 million barrels per day (bpd) early in 2018, reaching that milestone for the first time since 1970, and to continue to surge into 2019 to a record high, the U.S. Energy Information Administration said Tuesday. Production was expected to hit 10.04 million bpd during the first quarter of this year, the agency said in a monthly report. The 10 million-bpd milestone previously had not been expected to be reached until the fourth quarter. The monthly average for February is expected to surpass 10 million bpd, said Tim Hess, the lead analyst for the report. The EIA revised its production growth forecast for 2018 sharply higher to 970,000 bpd from 780,000 bpd in its previous outlook. U.S. output will be at an all-time high in 2019, surpassing 11 million bpd by the end of that year, a new high for national output, the EIA said in the report. 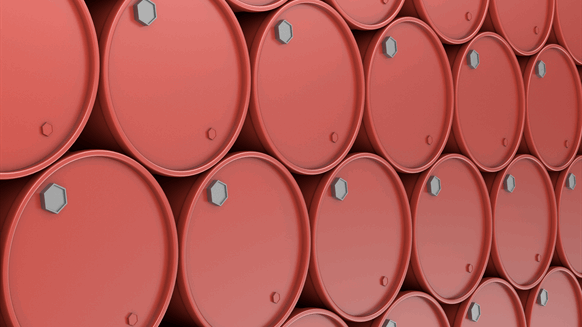 The average production in 2019 will rise 580,000 bpd to 10.85 million bpd, the agency said in its first outlook for next year. Much of the production growth will be concentrated in the Permian Basin, the largest U.S. oilfield stretching across Texas and New Mexico, said John Staub, the EIA director of the office of petroleum, natural gas and biofuels analysis. As a result, pipeline capacity constraints should not be a major limiting factor in starting new production, he said. Despite the rising production, oil prices edged higher on Tuesday, with U.S. crude touching its highest since December 2014. The market was supported by OPEC-led production cuts and expectations that U.S. crude inventories have dropped for an eighth week. Oil traders have closely watched U.S. crude production to see whether output gains from U.S. shale formations will surpass the 1.8 million bpd cuts. U.S. demand growth of 150,000 bpd was estimated for 2017, slightly lower than previous expectations. The agency increased its demand estimates for 2018 to 470,000 bpd from 410,000 bpd. Demand is expected to climb an additional 340,000 bpd in 2019 to 20.65 million bpd, the agency said.